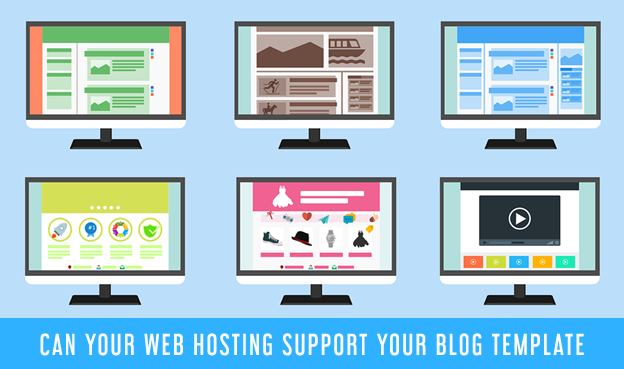 The blog template you choose may have issues with your the web hosting package you are using. You may need to look for a different template because your host cannot support it. Web hosting, as not many realize, can be the reason why you can’t use a certain template. But among the top 5 web hosting considerations – you should also check to see if your web hosting package could support the template you intend to use. In general, a host-template compatibility problem is not about the template itself. Templates are created using the markup language specific to a blogging platform. That’s why a blog template created for Blogger cannot be used on WordPress. The template created by the template generator on WordPress cannot be used on Blogger. When talking about template compatibility problems, the first thing that comes to mind is whether or not the template was designed for a particular blogging platform. It is possible to “port” or convert a WordPress template for Blogger use or a Blogger template for WordPress use. The same is possible with the templates for other blogging or site creation platforms or frameworks like Wix, and Weebly. A Bootstrap template can be converted into a WordPress template. However, these are a different topic altogether. Porting does not address template- host incompatibilities. Again, it’s generally not an issue with the template itself but with specific elements or features, the underlying software of which may not be supported by the web host. Bloggers can use basic templates without worrying so much about having issues with the web host. The good news is if there are specific parts or elements in the template that don’t work, you can easily find a replacement for these. Especially with the compartmentalized nature of WordPress templates, implementing adjustments or fixes is not going to be difficult. Pay attention to site performance, speed in particular. This might be item #3 here but this is arguably one of the most important things you need to take into account when it comes to template-hosting relationship. Always examine the performance consequence of switching to a new web host or when using a new blog template. Some blogs suffer slow page loading times when moving to a new hosting service—and that’s where the relationship between the two really kicks in. For example, if your previous host had an adjacent data-center then the template would have loaded up fine. But in a case in which you migrate to a new host - you might find that its data center is now actually remote. Loading problems can be made worse if your blog does not implement lazy loading. Lazy loading is the prioritization of the visible parts of the blog when rendering or loading the content. This means that if you have a long page, the header and the rest of the page elements visible on a page (without scrolling down) are loaded first. This creates the impression of a faster loading page. The page elements below are only loaded when you scroll down to them. Take note, though, that this does not address unoptimized parts of the template. If your problematic elements are on the top part of the page, they can still create issues. In many cases, blog templates work even when there are parts of them that are having issues when switching to a new web host. In some cases, the template does not work altogether. The latter scenario can be considered the better scenario since you immediately know that it’s a template-hosting problem. If it’s the former, it may take some time before you can point out the source of the problem. If you don’t want to examine the technical specifics of a template, you can just proceed to trying it. This can be a faster way of knowing if the template you want to use is compatible with your web host. There’s no need going through the trouble of investigating specific features when you can just try the template if it’s free. If it’s a premium template, the provider is probably going to be generous enough to let you try it first before paying for it. You can always contact support if the template does not work as expected. When trying a template, though, make sure you have all your site backup secured. You certainly wouldn’t want to impair your site with a careless template testing. You may also try it with a different website or a new blog just to check if the different features are working as expected. Ask the web host. There’s no harm in inquiring. If you are still on the hunt for a web host or if you are switching to a new one, don’t hesitate to ask the web host for the technical requirements. Web hosts will be more than willing to address your concerns. If you are not sure about the specific technical details of your template, you can always send it to the web host so they can test it. Just be sure to show that you are really interested in getting their hosting service. If it’s a premium template that you are still about to buy, ask the template provider for the technical details so you can send it to the web host you are considering. Before you decide to switch to a new blog template, be sure to examine if the template is compatible with your web hosting package. Similarly, if you decide to move to a new web host, ensure that it can support all of the features and functions of your blog template. You certainly wouldn’t want to unnecessarily implement changes, tweaks, or a complete replacement of the template you have invested time and effort in after finding out that there are compatibility issues with the web host.